If there is one vehicle that has stood the test of time and remained synonymous with friends, freedom, and adventure, it’s the enduringly iconic Volkswagen bus. It may have started as a simple mode of local transportation, but over the years, it has become a ubiquitous feature of road trips, rallies and festivals; coastline cruises, wilderness campouts, and intrepid odysseys around the world. 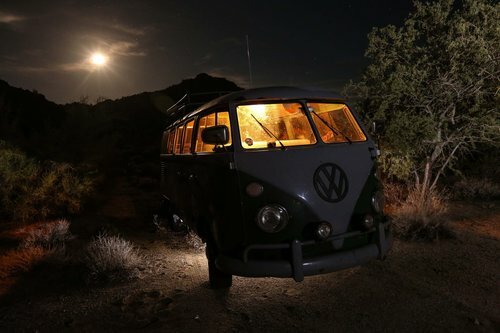 The people who drive them, live in them, and are associated with them seem as uniquely cool and charismatic as the VW bus itself. Their journeys symbolize what many of us strive for – a counterculture lifestyle, breaking from conformity, and embracing unconventionality. Cue the Bus Trippers. This group of fun-loving adventurers experience the spontaneous freedom and serendipitous jaunts that come from life on the road in a classic relic. 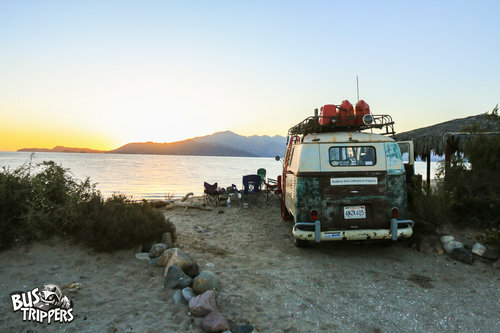 Launched by Jeremy Leonard of Santa Cruz, California, Bus Trippers is a welcoming community of people who share a passion for traveling aboard split window, aircooled Volkswagen buses of the 1960s and 70s. Their stories and snapshots capture the spirit of exploration in off-road places, and remind us of the value of a slower pace and simpler life; with or without an itinerary. Both Jeremy and his wife Sarah have connections with Volkswagens that link back to their childhoods. Now, they’re keeping the tradition of travel in a home-on-wheels going with their son Jaylen. 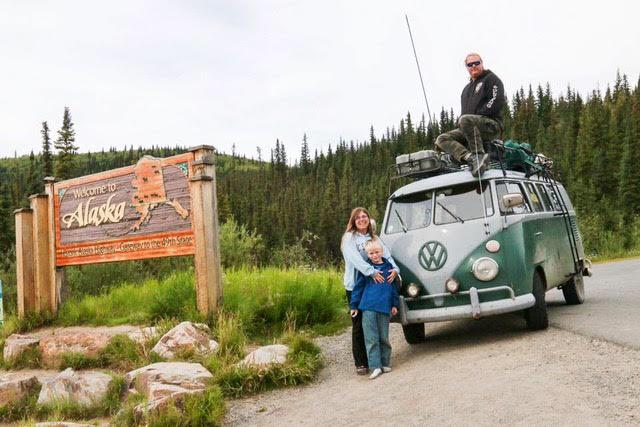 Together, they’ve trekked with vintage VW buses as far south as Mexico and as far north as Alaska. Bus Trippers documents the buses they’ve owned over the years, chronicles tales of their intrepid travels, and celebrates the friends they roll with and the fellow nomads they meet along the way. 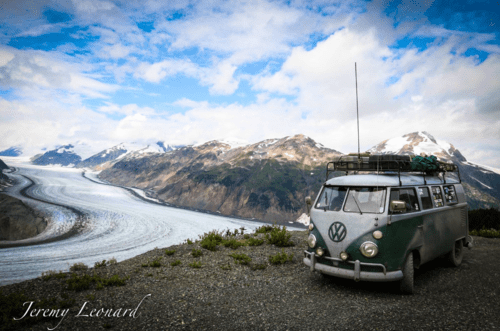 Anyone who’s spent some time or has always dreamed of adventuring with a VW bus will appreciate travel in what Jeremy calls the “Swiss Army Knife of vehicles”. The weathered machines the Bus Trippers renovate and navigate may be considered antique collector’s items, but their extensive rambles away from the homefront, and the self-sufficiency and fun their journeys represent, prove the longstanding versatility and cult status of the VW bus. Despite age, the well-engineered, utilitarian design, and opportunity for adaptation and personalization make cruising around town or across the country in these old, quirky vehicles comfortable, reliable, and eye-catching. Read on for an interview with Jeremy Leonard, and let the swashbuckling adventures of Bus Trippers inspire you to take time to explore by way of the back roads and connect with likeminded people along the way. Jeremy, tell us about your connection to VW buses. How did it all begin? In 1973, my parents had a 1968 Westy Camper. My mom pulled into the driveway, didn’t set the parking brake fully, and the bus began to roll as she stepped out. She being 8 months pregnant, used all of her strength to jump back into the bus and yank on the parking brake. She immediately felt funny, and I was born in the morning the next day. 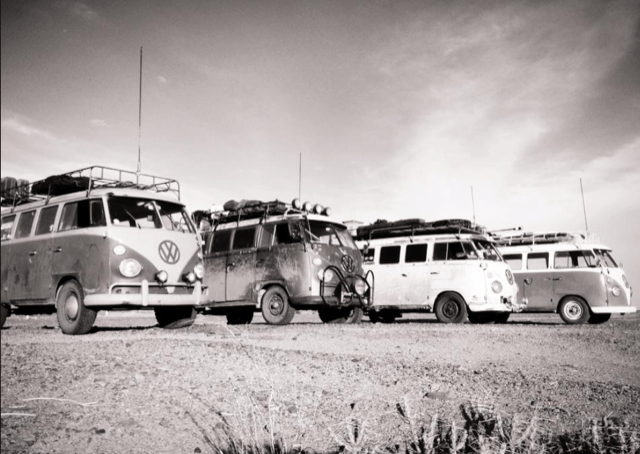 Over the years we toured all over the country in various VW buses. My parents would load up the camping gear, and we were on the road nearly every weekend. What inspired you to launch Bus Trippers – what was the vision and who is the community? I launched Bus Trippers with a good friend of mine named Greg Urrutia. He’s a life long VW enthusiast, and a top -notch mechanic. Originally the idea was to document our road trip to Alaska, and we named our Facebook page the “Alaska Bus Trip.” We had a Baja Bus Trip page to document our various trips to Mexico. Then we realized that it was silly to have a different bus page for every adventure, so came up with Bus Trippers! What is your favorite year VW to restore and travel in? What makes this model so classic? I am currently getting a 1967 21 Window Bus back on the road after lying dormant for 20 years. It’s such a beautiful car to drive! The sun windows, and the rag top make it beautiful. Everywhere we go people wave and smile. Every time we stop people want to come up and talk about the bus. They’re classic, and people are nostalgic to go back to when times were simpler. Tell us about one of your most epic adventures! The most stand out adventure was our trip to Alaska. My wife Sarah, son Jaylen and I drove up to anchorage via the Alaska Highway. The scenery was incredible. We camped by rivers, slept out under the stars, and met a ton of great people along the way. Sarah and Jaylen had to get back to school, so my friend Greg flew into Anchorage, and we continued north to a small community in Canada called Inuvik. It’s as far north on the Dempster highway that you can drive on dirt. There’s an ice road that continues north in the winter months only. Inuvik is at the end of a 1000 mile long dirt road out and back. What advice would you give someone wanting to experience the VW bus lifestyle, either through restoration, ownership, planning trips, etc? Get out there and meet people with buses. Go to shows. See if it’s really for you. You have to be somewhat mechanically inclined to drive a 50 year old vehicle of any kind, air-cooled VWs are simple machines and easy to learn. Find your local VW Club, join up. Go to meetings and be involved. Photos credited to Jeremy Leonard. You wrote such an eloquent article. Thank you! Pretty cool Fleur. Well written article and suitably enthusiastic! Mine was a 1963 that I made into a camper. It was home sweet bus for my last 2 years at UCLA in ‘68 & ‘69 in the wilds of Westwood, then post grad travels to Canada and parts between. Thank you! Sounds like another great story/adventure!